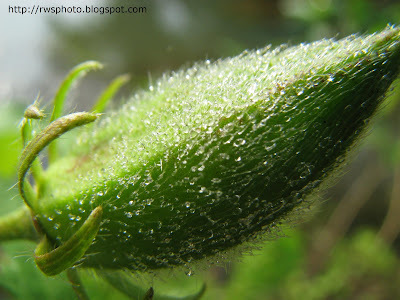 Photo of water droplets on an Okra, or Lady's finger. Okra (pronounced US: /ˈoʊkrə/, UK: /ˈɒkrə/), known by many others names, is a flowering plant in the mallow family (along with such species as cotton, cocoa, and hibiscus), valued for its edible green fruits. Okra's scientific name is Abelmoschus esculentus; it is occasionally referred to by the synonym, Hibiscus esculentus L.
Okra is often known as Lady's Fingers outside of the United States, and gumbo in parts of the United States and English-speaking Caribbean, based on a corruption of the Portuguese word "quingombo," which is in turn a corruption of the word "quillobo," the word for the plant in some parts of eastern Africa. The name "okra" is of West African origin and is cognate with "ọ́kụ̀rụ̀" in Igbo, a language spoken in Nigeria. In various Bantu languages, okra is called "kingombo" or a variant thereof, and this is the origin of its name in Portuguese, Spanish, Dutch and French. The Arabic "bāmyah" is the basis of the names in the Middle East, the Balkans, Iran, Afghanistan, Greece, North Africa and Russia. In Southern Asia, its name is usually a variant of "bhindi" or "vendi." In Borneo, the Malay called Okra as Kacang Mior or Kacang Bendi or simply Kacang Lendir (slime). 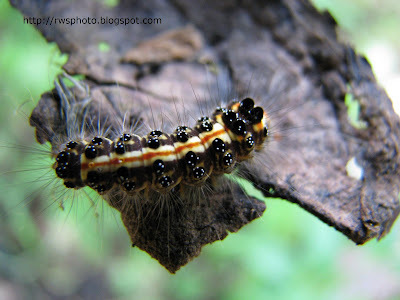 The caterpillar photos below make up the 16th series on Tropical Caterpillar from Borneo. 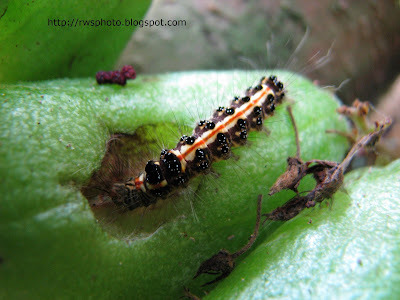 Furry caterpillar caught burrowing a tropical fruit. 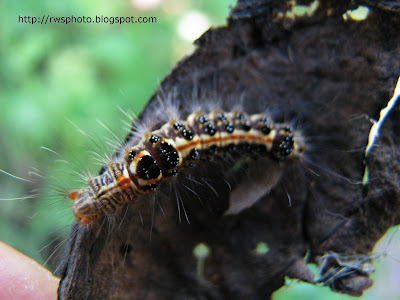 The same furry caterpillar moved to a dead leave. Tiny white spots on each black spot. The white spots are caused by the light reflection. 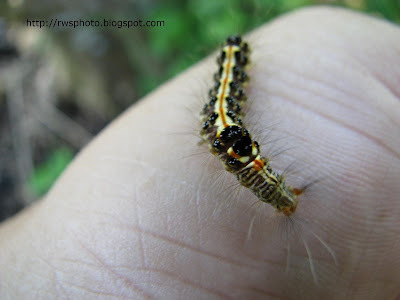 Furry caterpillar on my thumb nail. 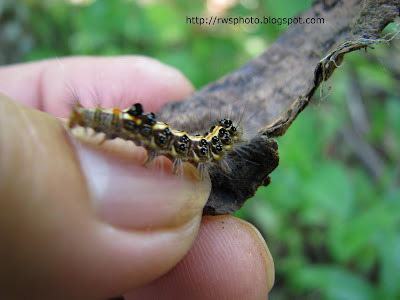 Furry caterpillar crawling on my left hand. 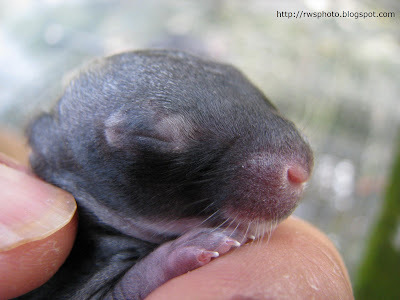 Photo of little newborn kittens. 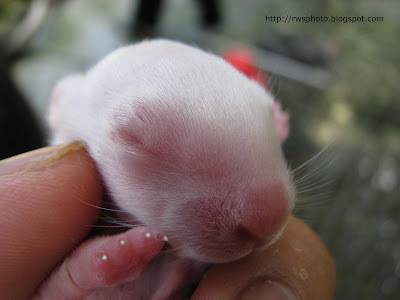 The newborn kittens were only couple of days old and their eyes are still shut close. 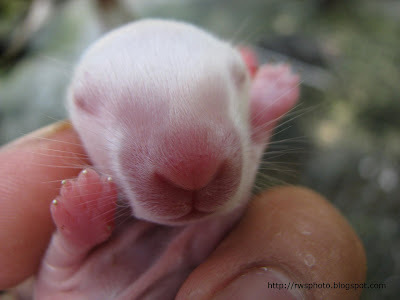 The nose seems a little bit big. A tropical cyan dragonfly. Most dragonfly's wings are see-through. Below: cropped photo of the dragonfly big eyes. Click image for larger view. 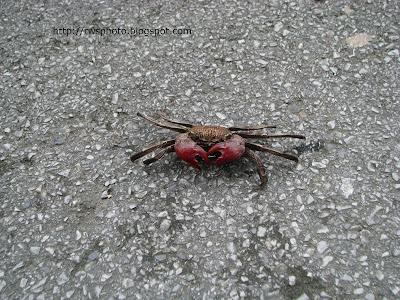 Photos of a tropical mud crab crossing a tarmac road at Kpg Sebayor, Semarahan. 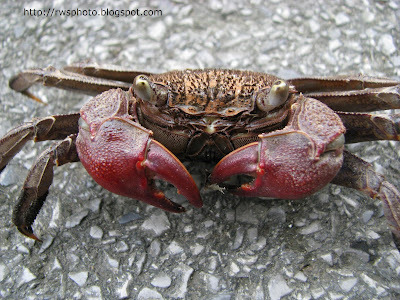 Close up photo of a tropical crab. 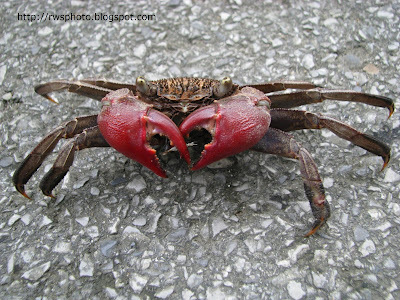 Look at those red pincers. Click the photo for a larger view. Crab photo a further distance.